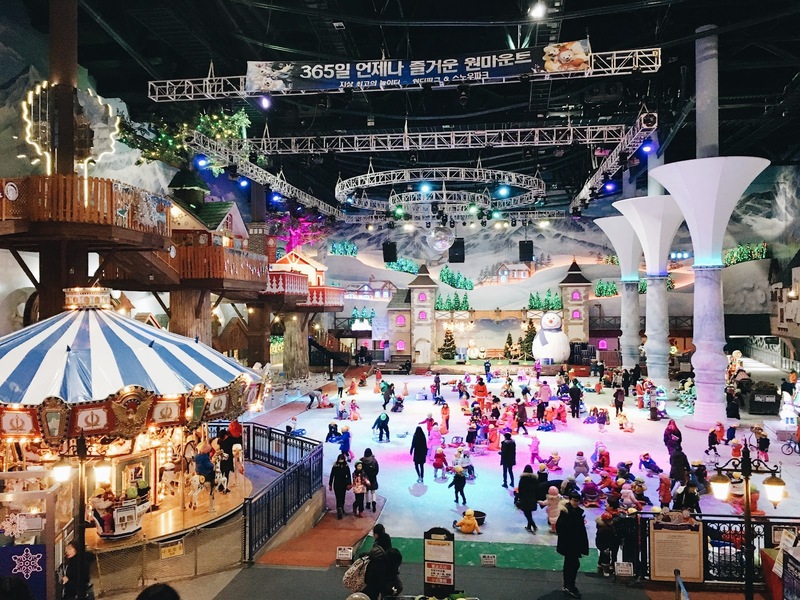 When the weather is cold and gloomy and the kids are bored, go to Ilsan where all kinds of kids indoor activities you can imagine are in one place. I am excited to share just a few of them with you. 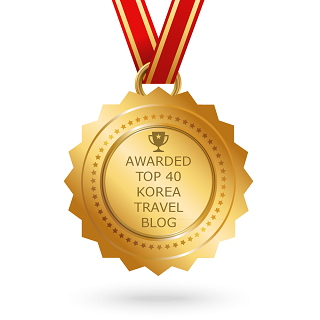 Ilsan is about 35k north west of central Seoul near Gimpo. It took me 50 minutes each way with a little bit of rain and traffic. 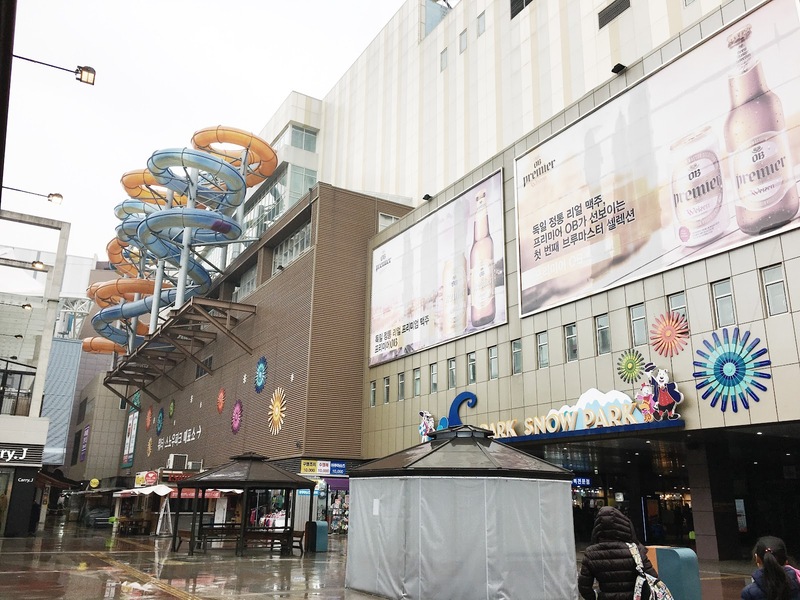 First, there is water and snow parks at One Mount Mall. 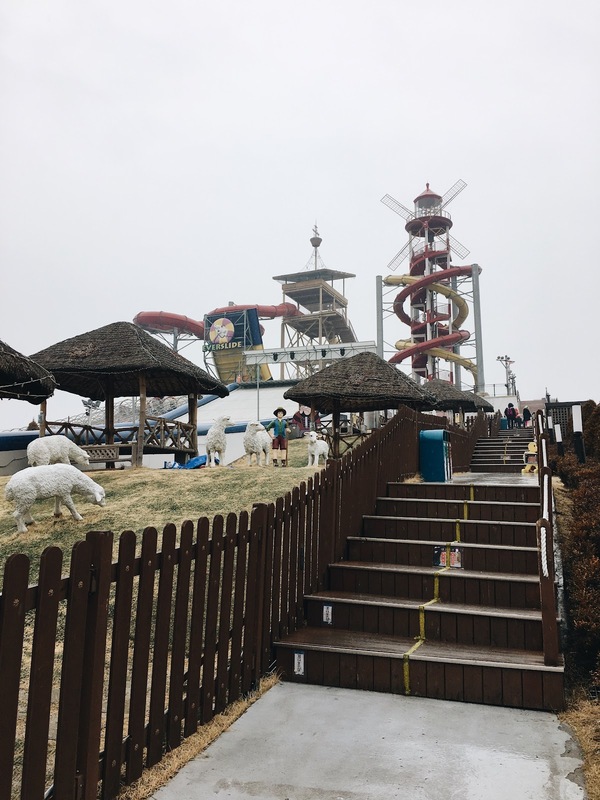 There is a separate entrance fee for the water park and snow park, so choose which one you want to go to and prepare accordingly before going. 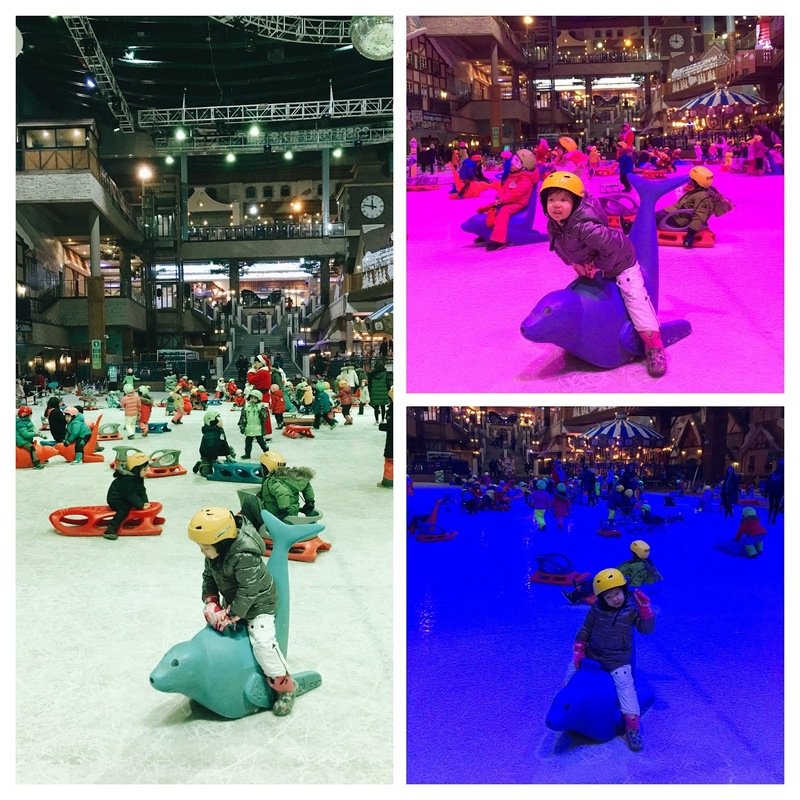 My daughter and I went to the snow park recently and here are some pictures. 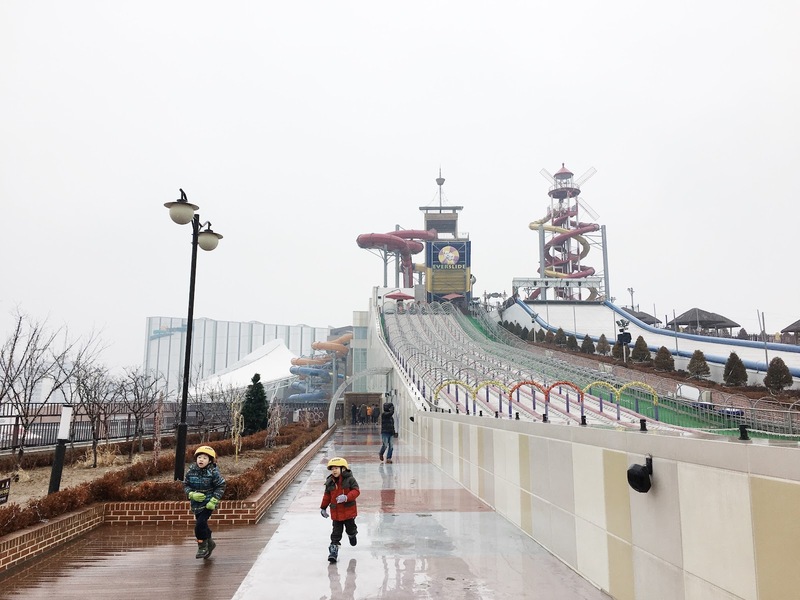 Half of the building is the water park and the other half is the snow park. 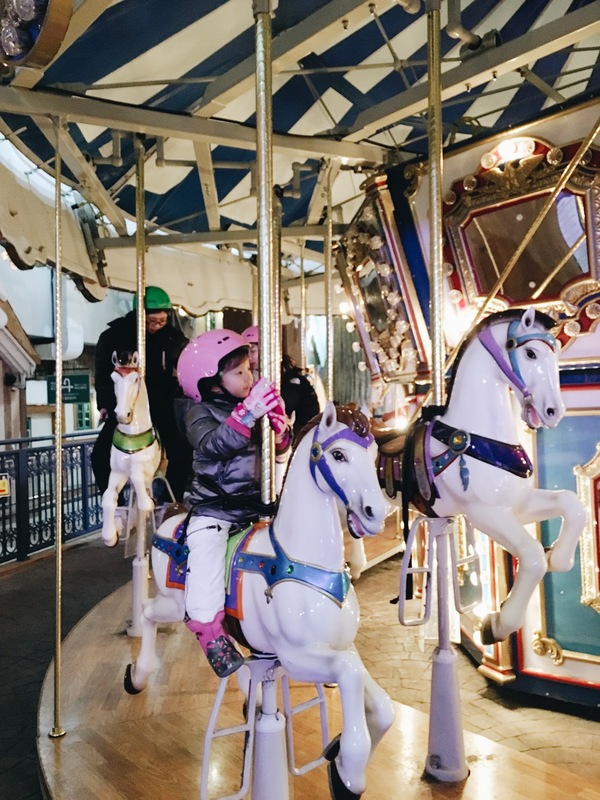 All kids must wear a helmet (which is provided) when you first enter. 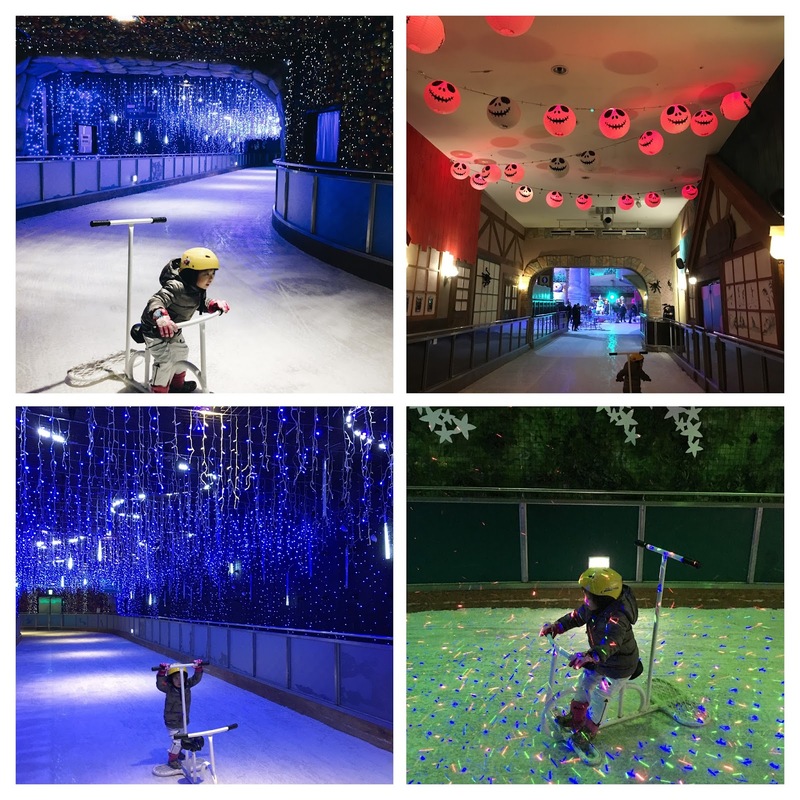 The ice rink is the main play area for the kids. And then there is an ice track that goes around the main ice rink. 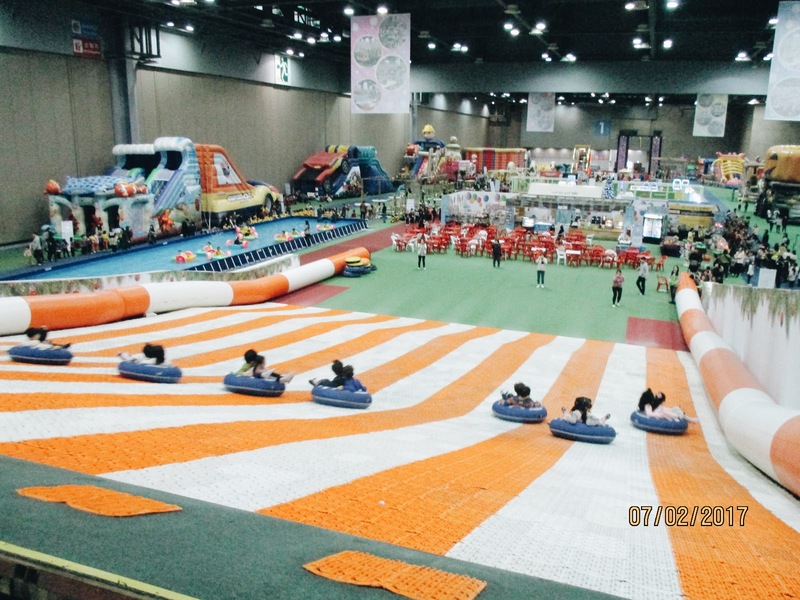 There is indoor tubing and small sledding for toddlers. 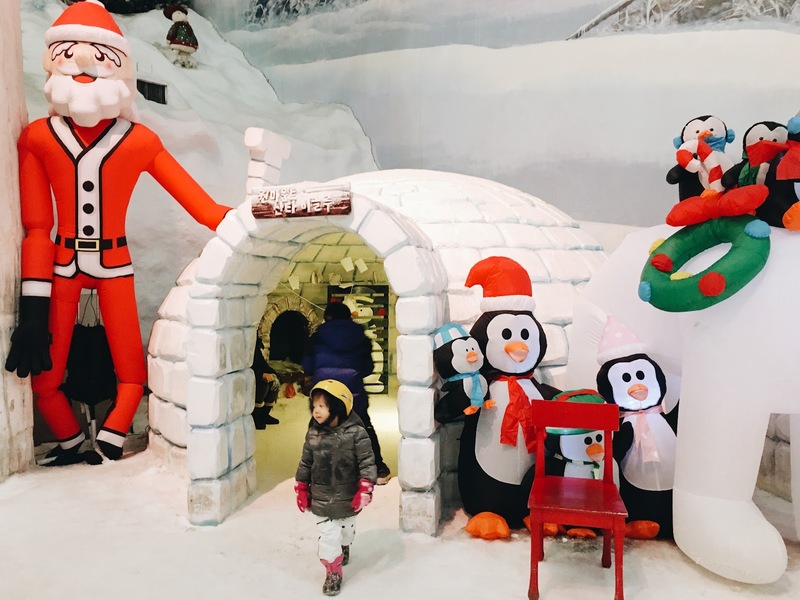 Igloos that kids can walk around in, but my daughter wasn't too impressed. They also have outdoor sledding on the roof top. 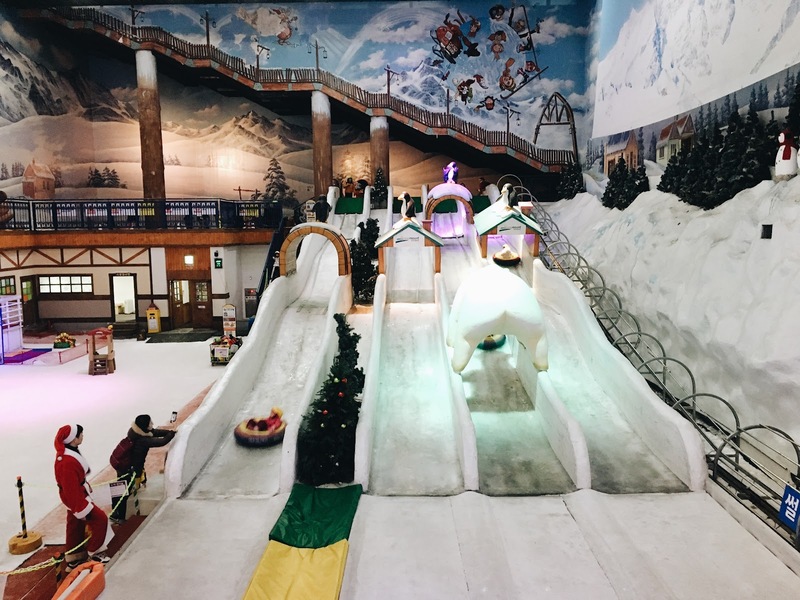 Overall I liked the snow park because it was different from other "indoor" parks for kids. 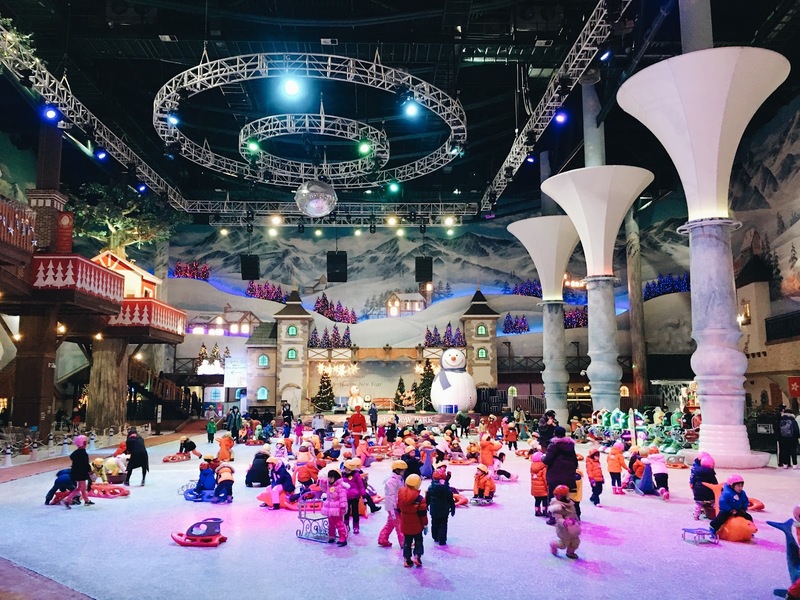 Even though this is an indoor park, it's still cold inside with ice so you need to bundle up and snow pants and gloves are recommended for kids. There is a food court inside the park, but if you want you can come out to the mall to eat where there are more choices. Don't forget to stamp your hands by the exit if you want to re-enter after eating. 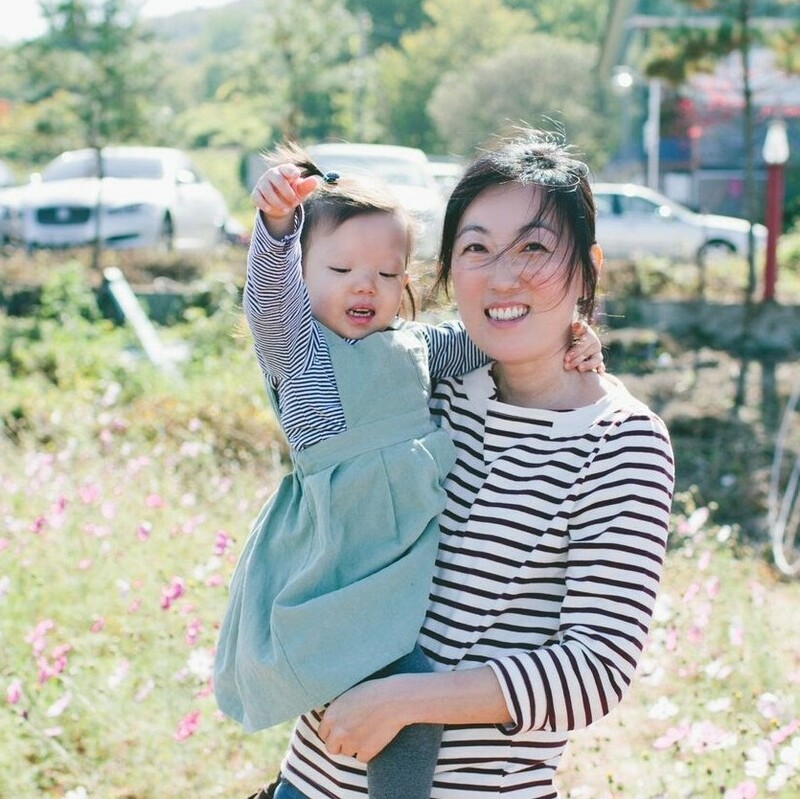 I personally think 35,000won is a little expensive, but they are having 51% off sale this week until March 1st on Coupang! This is a great deal and a good chance to try it. Make sure you buy the tickets on Coupang before going. Also a discount on Coupang this week until March 1st. 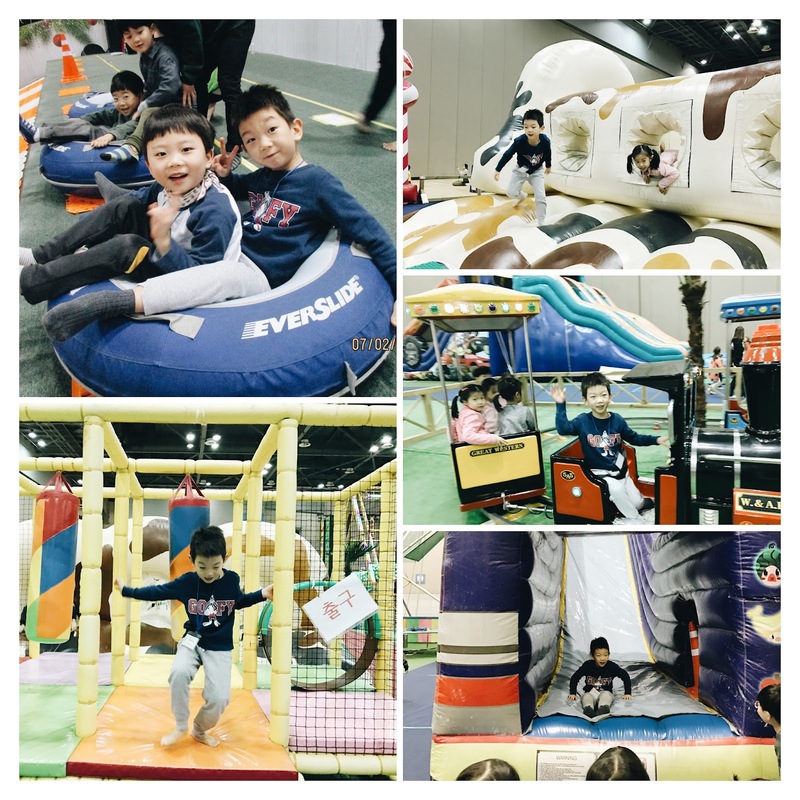 Another big indoor activity in Ilsan that you should check out is Kintex events. 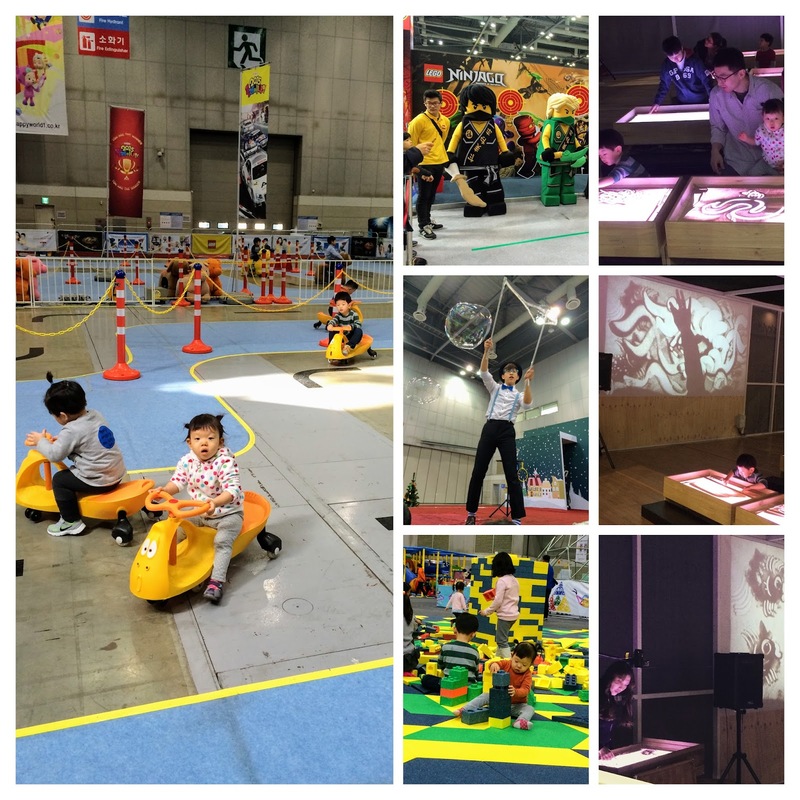 There is always something worthwhile for a good price at this exhibition hall. This is where our kids go on field trips many times. 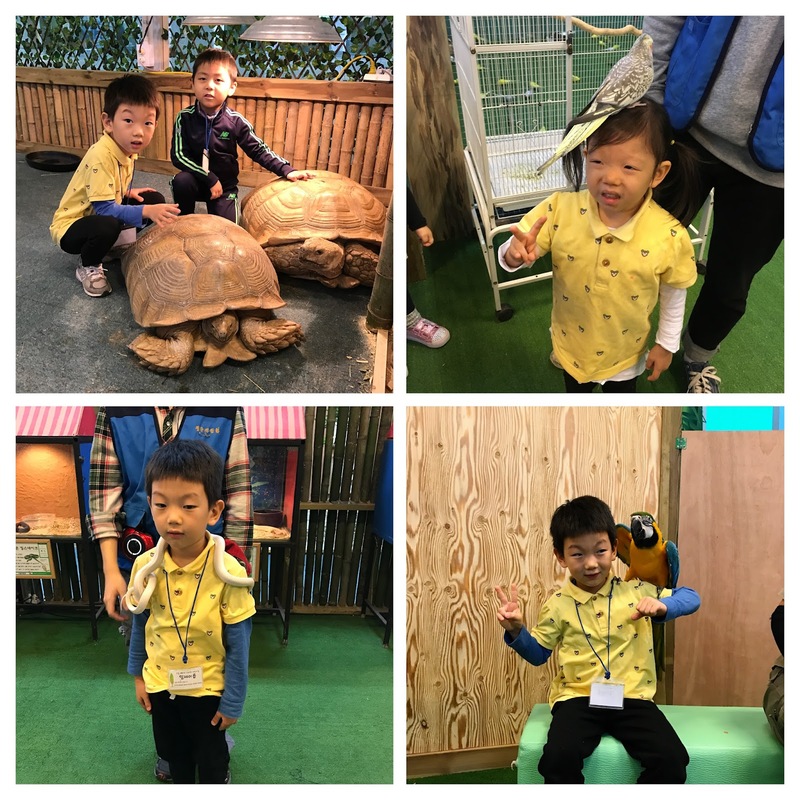 Here are some pictures from my kids field trips and when my family went to an event 3 years ago. Kintex Event 3 years ago.